Every day you see so-called facts in the media about bugs that make your skin crawl. But the actuality is that the majority of the information is false. Luckily, we here at Rangers Pest Control can provide you with the correct facts about Las Vegas bugs. Maybe you think living in an upper-class neighborhood prevents bed bugs from entering your home. Wrong, cleanliness has nothing to do with this pest infestation. 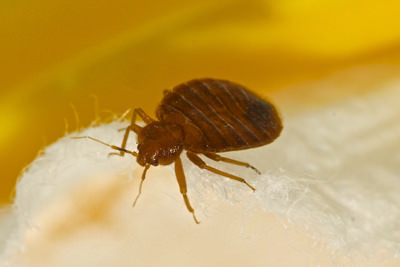 Have you ever seen a bed bug come up to and ask for your bank statement? Whether you live in an apartment building, small home, or mansion—once these critters latch on to you they move into your house. The myth is one of the oldest in the world. According to legend, the spider is venomous but cannot bite through your skin. The fact is that they can chew through your skin, but their poison is not as potent as a red-bellied widow spider. For most residents in Nevada, a mosquito leaves irritating bites, but the truth is that this insect kills millions of humans every year. According to the Illinois Department of Public Health, they have killed more people than a war ever recorded in history. So take the needed steps to prevent this infestation from taking over your home. A fact is that they love places where there has not been a broom present for ages. The more dust there is in your home the likeliness is that you can have a spider infestation. They love living in corners of the floor, ceiling, behind furniture, behind the closet, and underneath the bed. To prevent this bug from making your house their home make sure to keep it clean. Yep, the critters that make your skin crawl can survive without their head. They can stay alive headless for up to a week. The reason is that they have a circulatory system and breathes alongside their segmented body. Furthermore, they can even hold their breath up to 40 minutes under water. Are you dealing with pests in your Las Vegas business or home, contact us today and let our professional staff handle your bug problem.